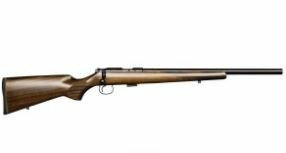 This is a Brand New CZ-USA 455 Varmint .17HMR Bolt-Action 5+1. Starting New in our office for every $10 you spend with our office this will equal one entry to win the FPA of the month, FPA of the month is a Rifle, Handgun, Shotgun of that month. Simple if bid on this gun and won it for $430.00 that would be 43 entries into the drawing to win the FPA of the month. This month's (January 2019) FPA of the Month is a Ruger Precision Rifle TALO Edition Rifle in .308 or 6.5 Creedmoor option of one or the other not both 10+1 2 Mags Valued at $1,603.00 for details or info on this firearm just search FPA on Egunner.com very easy to find!! Restrictions will follow the same as state laws for all guns we don't convert or change or modify guns for your state compliance in any way. We don't change Federal laws as well you purchase a shotgun because you was 18 and legal to do so but at that time was the lucky winner of the FPA of the month and it happen to be a handgun you obviously by FTA rules you can't receive the handgun so in this case you will get the credit of that handguns value amount towards a rifle or shotgun we are able to order in exchange. As well no purchase is necessary to enter the FPA as well you can always enter at least one entry each FPA month through our Facebook page. www.facebook.com/firingpinarmory. Winners will be announced through our Facebook page. These rules and the contest for entries is only valid for paid and completed auction winners. From Time To Time: Our guns are for sale in our showroom (store), our 24 hour 7 days a week 365 days a year website, along with weekend gun shows and other auctions. Unfortunately from time to time because of this and do to manufactures not making or very low inventory or no inventory at all (out of our companies control) a gun will sale out on our online or instore and before we can stop an auction from ending and being removed a bid happens and there is no possible way to fill this order right away so this comes down to if the customer has the time to wait for more to come into the distributors and if so then we can wait for this to happen and in some cases if not possible to wait we will offer several different options for customers to choose from in same manufacture and same caliber just different looks or options. If we can’t find a solution to this then the sale will be canceled and the buyer is not held to any cancelation / restocking rules. Seller is not held responsible for what they can’t control and the purchase will be ended as if it did not exist. The buyer and the seller agree not to leave any negative feedback or comments as again the sale did not happen at all. If the buyer does still decide to leave or be negative the seller has the right to defend themselves as well as including this as info already explained. 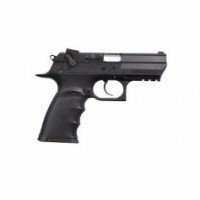 Shipment will be through USPS priority mail or FedEx and we strive to get this shipped out to you as fast as possible for handguns it will be $30.00 Estimated and for long guns it is $35.00 Estimated. **Estimated shipping quote if you want a more accurate shipping amount please contract our office and we will get you a pretty good idea from our state to your states FFL or from our main warehouse to you FFL. These are with no insurance added, or any other service you may want, you may add insurance (we recommend this) and this is $2.00 per $100.00 of value. Example $500.00 insurance = $10.00 fee. We will not be responsible for lost, damaged or stolen shipments unless insurance is purchased. All Payments are due within 5 days of close of auction or first payment to start a layaway is due in 5 days of close of auction win. So if you win on a Sunday it will need to be paid by that Friday. We hate to do this but you can thank all of the non-payers on this site for this rule. Lay-A-Way simple explanation you can use this on a reserve price or you can use this on a Buy-It-Now price. Simple explanation if you place a bid on the reserve price and you are the winner we take the price of your win, total real shipping, insurance, tax (if applies), credit card fee and we divide that up into three payments. So you win lets say a $300.00 gun shipping is $30.00, insurance is $6.00 and credit card fee because you are doing it that way and that is $13.44 equals $349.44 so divided by three $116.48 a payment and on the last payment your gun ships out to your FFL. 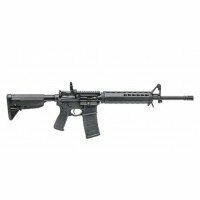 Your lowest first payment if needed can be as little as $75.00 down but that will make your next two just larger that being $137.22 for the next two and on that last payment your gun ships. We can make your payments go out to 4 payments if you need this as an option but we do have a service charge of $20.00 on that option but this again works for many people way better than the three payments so we do offer it. Send us a personal message through Egunner.com if you have any questions on this. Now on a Buy-It-Now only different you have is you can't have the shipping for free and have the Lay-A-Way for free no two promotions on same purchase so have to decide which one you want the most Lay-A-Way or free shipping. If you purchased this on the Buy It Now! Shipping will be free! FOB lower 48 states. We do not ship to other countries and it is your responsibility to know the laws of your state and where you will receive the gun from your FFL. And it also goes for you to know if you can legally own a firearm buy you placing a bid you have agreed that you understand these laws. You can pick up in person if you are in our great state of Utah and a Utah resident but there will be a $10.00 fee and you will be subject to all laws or our state. This includes a NICS check of $7.50. If you are a CCP holder then this will be waived. If you have any questions please contact us through email and we will contact you back within 1 to 2 business days if not sooner. Thanks for looking and working with us here at Firing Pin Armory. If we are not doing the best that we can be please let us know that as well through email so we can be there to better take care of our most important part next to having a great selection of firearms, Long guns, Shotguns. Our Customers!!. We must collect state sales tax over and above your bid or buy now price of 6.85% for Utah resident sales. (All other states exempt). 2. Please check your local and state laws for compliance of the firearm you are bidding on. We do not make our firearms compliant to your state, Please check with your FFL prior to bidding and/or buying. 3. The shipping price listed is for the lower 48 states, please check with us for shipment to Alaska and Hawaii Puerto Rico quotes. 4. We will send you an invoice to your email after you won the auction and or buy it now with instruction to proceed and complete the sale. 5. Please Have Your FFL Email A copy of Their License To: firingpinmike@gmail.com or it will delay your shipment to you! We appreciate your business, good luck and thank you again! 6. FREE LAYAWAY AVAILABLE! If you would like to put the item on layaway. Make three (3) consecutive monthly payments and on receiving the final payment we will ship to your chosen FFL. If any payment is later than thirty (30) days after the previous payment you will forfeit your layaway and all proceeds previously applied. Of course, you can pay it off earlier with no extra fees and receive the item that much sooner. You cannot combine promotions for free shipping or free insurance promotion and layaway together you have the choice of one or the other promotion. For the free shipping promotion or the free insurance promotion which ever one is running at the time on a Buy-It-Now Purchase the purchased item must be paid in one full payment. You will be charged a 25% cancellation/restocking fee and any fees we incur from Egunner.com for any purchased items not paid for. You will pay any fees we incur to collect this money from the purchase, this includes standard late fees any collection costs & any attorney fees we incur to enforce this. Payment is in form of Money Order or a Certified Check. There will be a 4% fee for non-cash purchase that applies if you need to use a Credit Card or Debit Card to pay as this is what they will charge us. Paypal is not accepted to use for any type of FFL item this is a violation of their policy and ATF policy as well. We do have a new option with our banking to use Zelle for bank transfer for free check to see if your banking offers this. If the above item states there is a Lifetime Repair Or Replacement Warranty Available this is an option to add to most of all of our guns and is only a $15.00 cost most shops charged $45 to $65 to add this we will send this over as an option for purchase. Winning purchasers who do not honor their commitment to finalize the purchase will be restricted from future purchases as they will be reported as a non-payer and noted as such. If you are unsure if you can pay for the item you are purchasing please don't buy. We appreciate your business and thank you again!